Luxardo brand film. The Luxardo family has been producing classic Italian liqueurs since 1821, inspiring some of the world’s finest cocktails. Watch the rich and unique history behind the brand. We were approached by Media Bounty to bring to life archive photographs of the Luxardo family to be the center piece of the Luxardo brand film. We developed a visual effect that enabled us to realistically mimic photographic acetates on a projector. 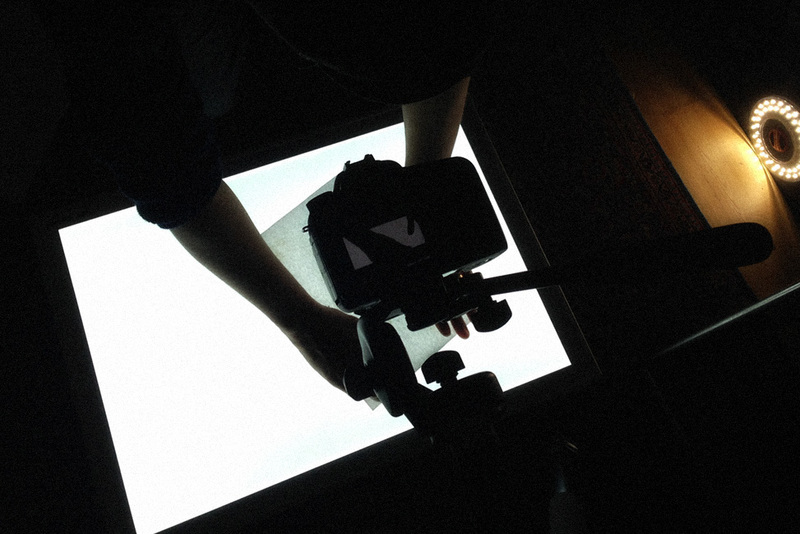 To create the visual effect of an old over head projector we firstly shot hands shifting acetate around on a lightbox. Using tracking markers we matched the movement and added the photographs. Next we warped and graded the photographs to look like they are printed on clear plastic sheets and finally intercut with footage we shots of a real OHP. Below is a very quick VFX breakdown of the Visual effect.